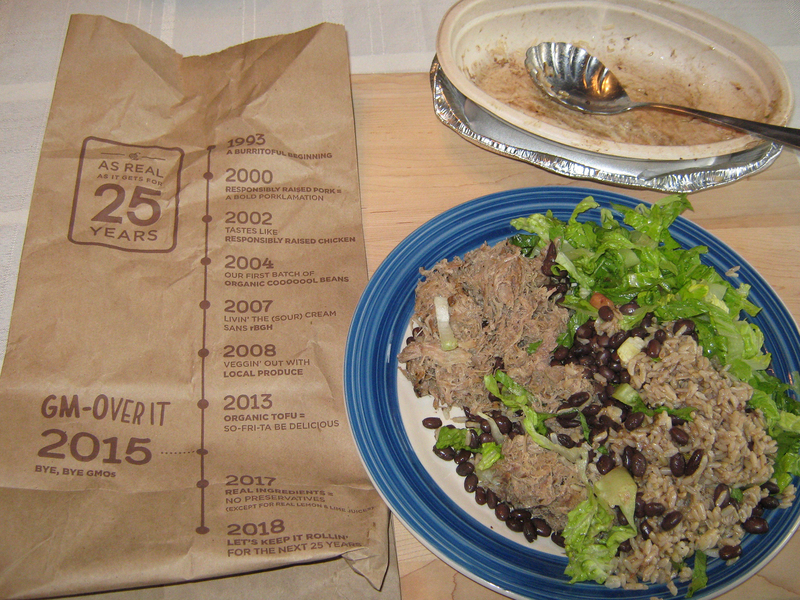 A take-away Chipotle Carnitas salad bowl, deconstructed: brown rice, black beans, and delicious carnitas plus fresh lettuce (option for added cheese and salsa declined): $7.60 of fast food packaged in a brown paper bag labeled As Real As It Gets For 25 Years and noting Bye, Bye GMOs. 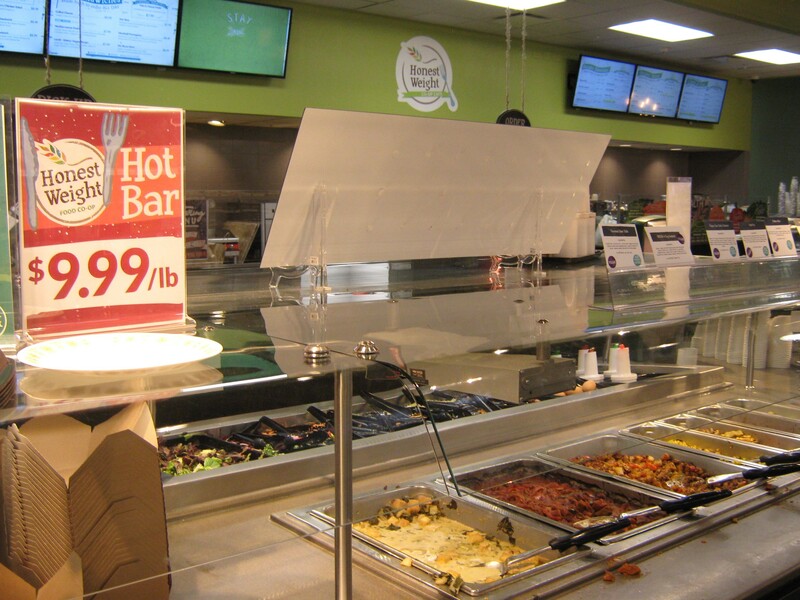 The cafe at the Honest Weight Food Co-op in Albany, NY has a delicious hot foods buffet, an excellent alternative to typical fast food operations; our dining directories include listings for cafes at food cooperatives throughout the U.S. 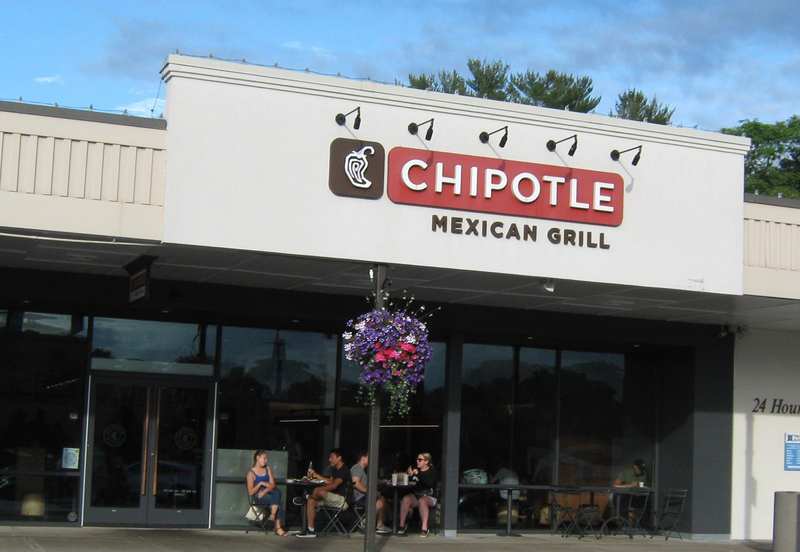 It was big news for the Capital District of New York when Chipotle Mexican Grill decided to open its first upstate New York fast food operation in the Albany metro area, now nearly ten years ago. The All Over Albany blog post publicizing this news back in 2009 noted that Chipotle’s food is good –and it seems like the company makes an effort to not be evil. And in 2018 the company still seems to maintain its values, which appear to go much further than a modest effort to not be evil. Clicking on Chipotle’s website reveals at the top of its home page a tab labeled Food With Integrity that describes its uniqueness in the fast food industry. 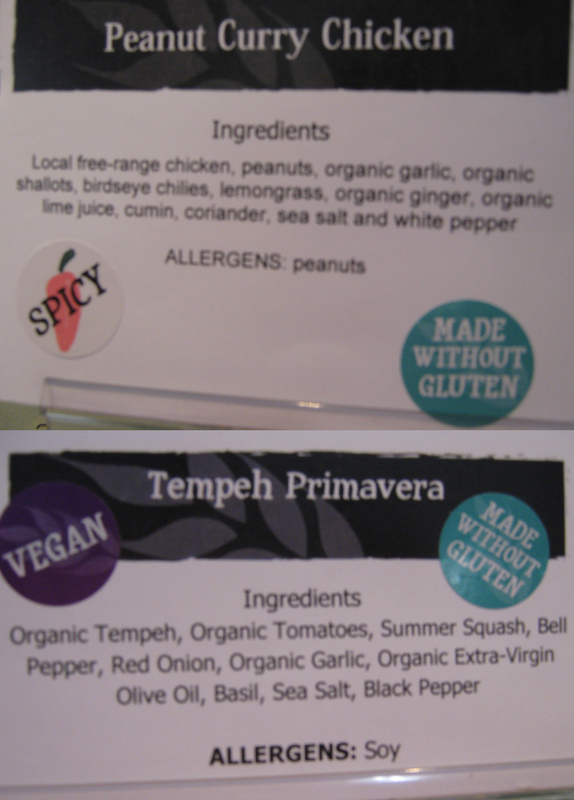 Day after day we’re committed to sourcing the very best ingredients we can find and preparing them by hand. To vegetables grown in healthy soil, and pork from pigs allowed to freely root and roam outdoors or in deeply bedded barns. We’re committed because we understand the connection between how food is raised and prepared, and how it tastes. We do it for farmers, animals, the environment, dentists, crane operators, ribbon dancers, magicians, cartographers and you. With every burrito roll or bowl we fill, we’re working to cultivate a better world. So it came as a bit of a surprise to see a recent article, The Excesses of Fast Food’s Marketing Binges by reporter Tiffany Hsu in the print edition of the New York Times (6/23/18) include Chipotle in a list of six fast food chains, plus Starbuck’s, which are engineering s0-called Frankenstein dishes and drinks in their test kitchens. (This same article on-line on the newspaper’s website has the more descriptive heading of Meat Wrapped in Meat, Doughnut Sandwiches, Want Some of Fast Food’s Big Ideas?) Reporter Hsu goes so far as to write that these fast-food Frankensteins are meant to provoke; many don’t test particularly good. . . But even notoriety draws attention, which can bring in curious customers. 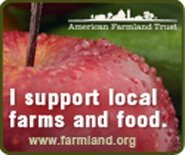 No surprise to this advocate for local and organic food (and knowing how, where and when your food is grown and produced) that Kentucky Fried Chicken’s Double Down, McDonalds’s McRib, Dunkin’ Donuts’ Glazed Donut Breakfast Sandwich, Taco Bell’s Doritos Locos Tacos, Pizza Hut’s Hot Dog Bites Pizza made the NY Times reporter’s list. And Starbuck’s cookies, cereals and candies inspired by it pumpkin spice latte making the list was not a big surprise. But Chipotle appearing on this list was not so easy to process. 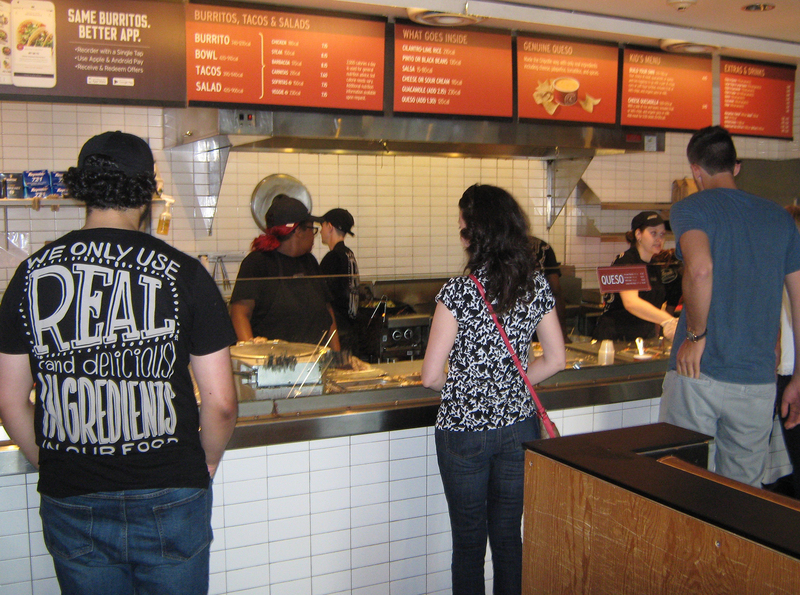 What prompted Chipotle’s inclusion? Reporter Hsu’s answer is its Queso, described as a long-requested cheese dip heralded by the company as an all-natural mix of 23 ingredients without the industrial additives common in other versions which was recently quietly adjusted in response to derision that it was grainy and tasteless. But how is this a Frankenstein concoction? Too many ingredients might be the reasoning, perhaps, since 23 ingredients to make a cheese dip does seem wondrous. But it does not seem quite fair that Chipotle should be lumped in with the Frankenstein concoctions engineered by the other fast food chains, which Hsu writes, use focus groups, scientific engineering, marketing campaigns, and generous helping of sugar and salt to create the potential hit. Then again, with nearly 2500 locations, now worldwide (in Canada, France, Germany, and the United Kingdom, as well as the U.S.), Chipotle has become a huge operation. It will certainly be challenging for Chipotle to please shareholders, desiring ever increasing sales and profits, and at the same time not impair its commitment to food with integrity.